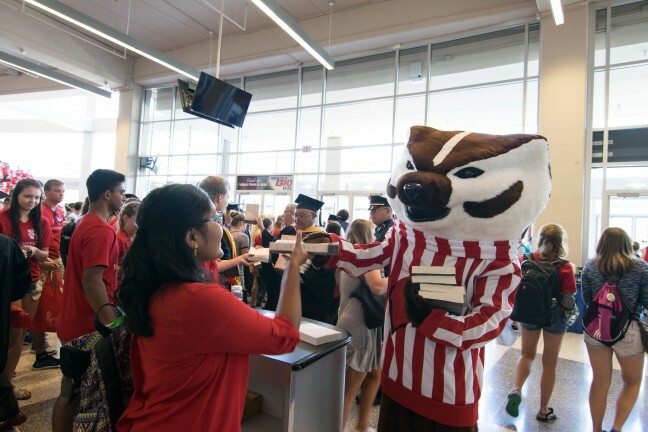 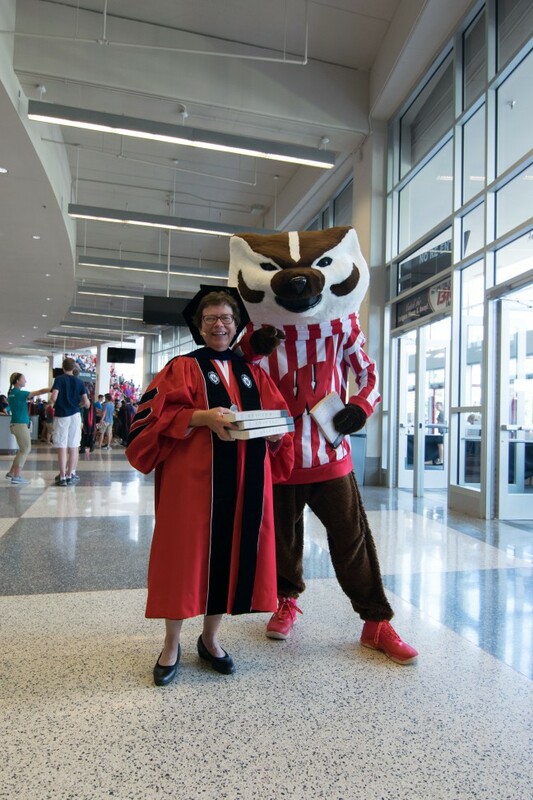 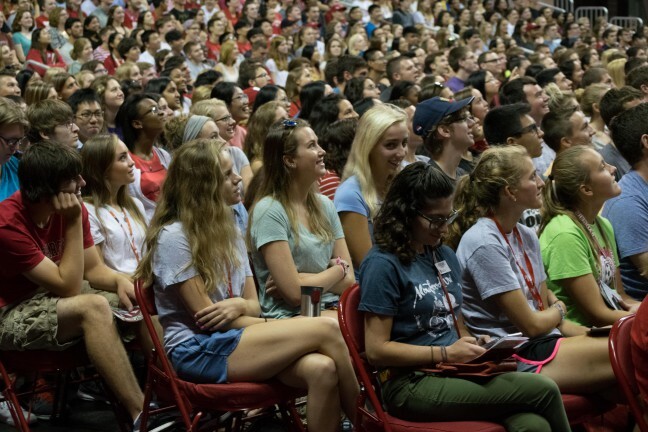 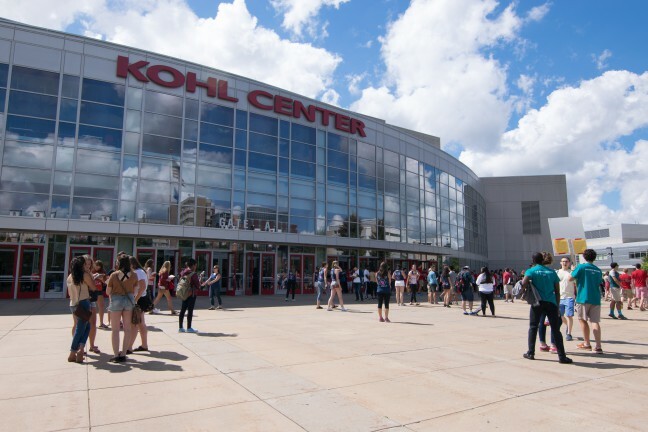 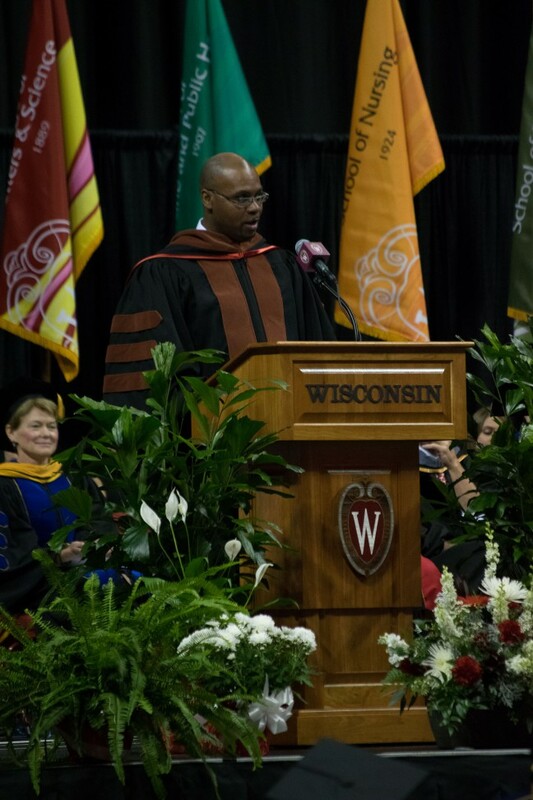 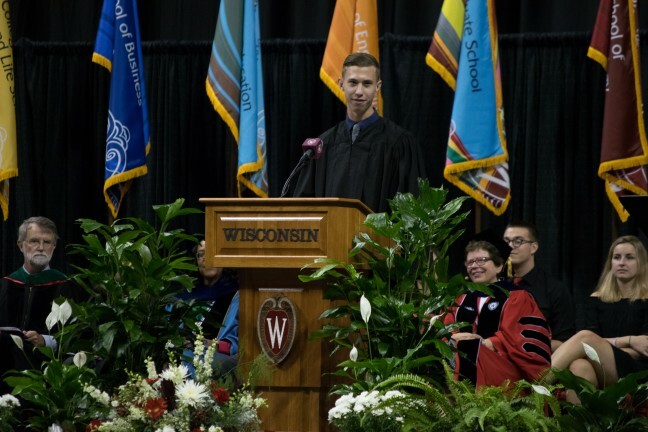 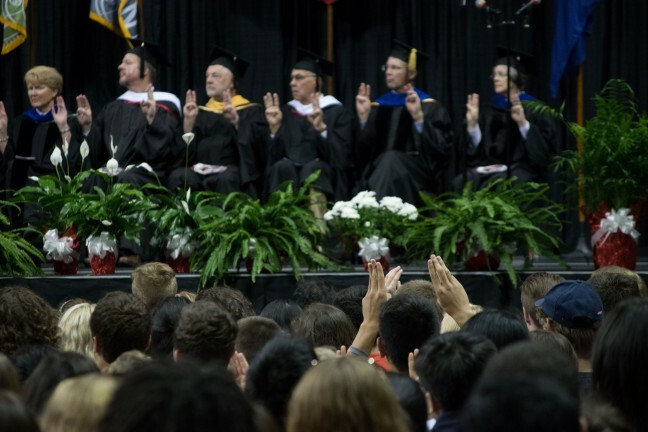 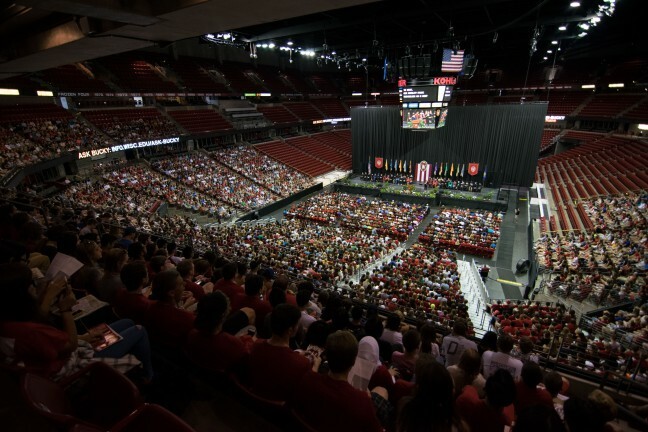 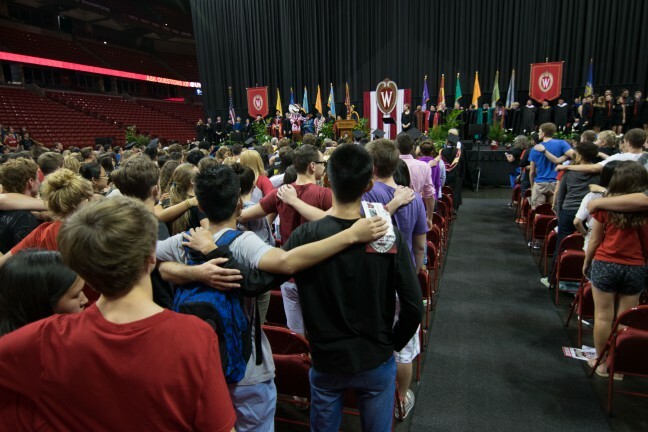 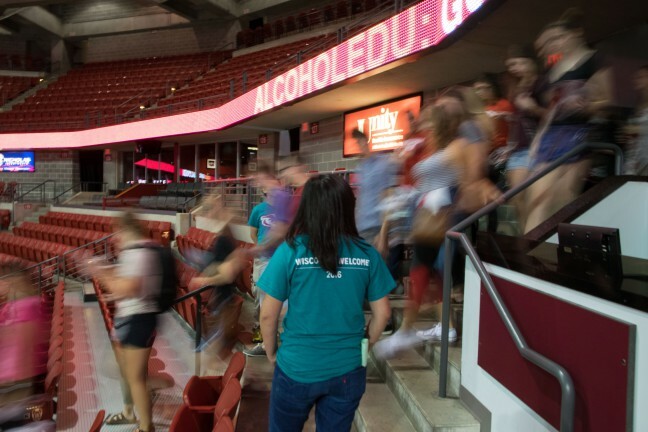 On Friday, freshmen and transfer students flocked to the Kohl Center for the annual Convocation ceremony. 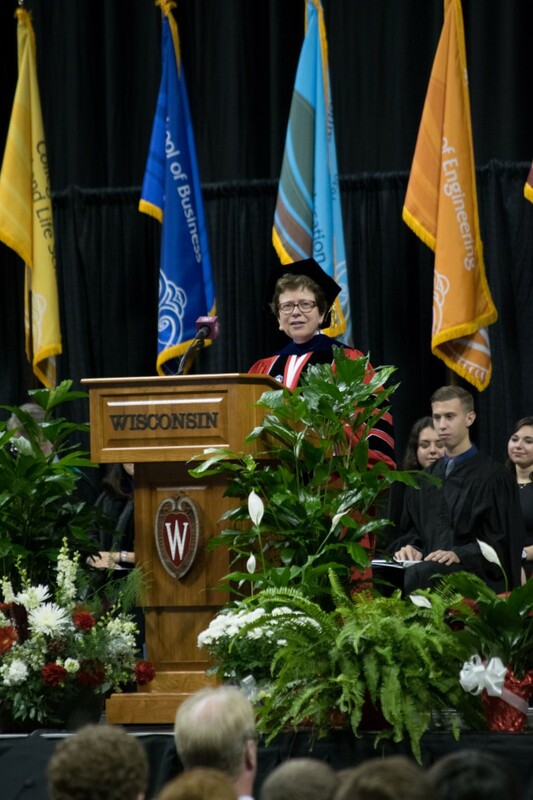 University of Wisconsin Provost Sarah Mangelsdorf opened with a Wisconsin welcome, with Chancellor Rebecca Blank following with congratulatory remarks. 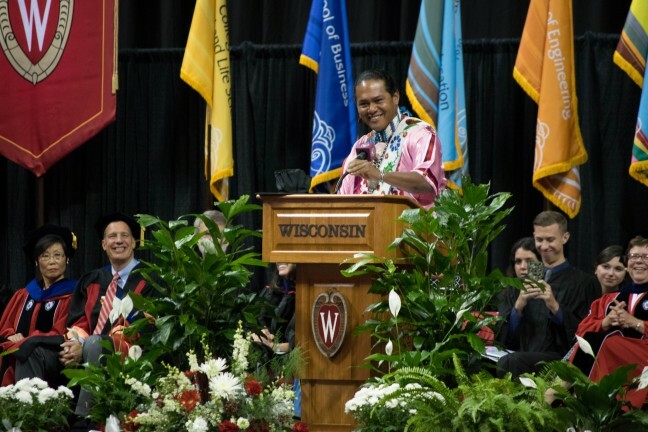 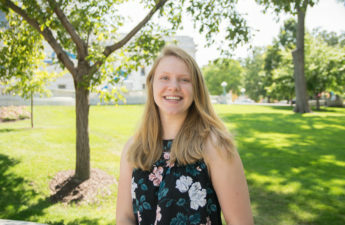 Other speakers included Ho-Chunk Nation representative David Greendeer, UW junior Evan Warwick and Vice Provost for Diversity and Climate Patrick Sims. 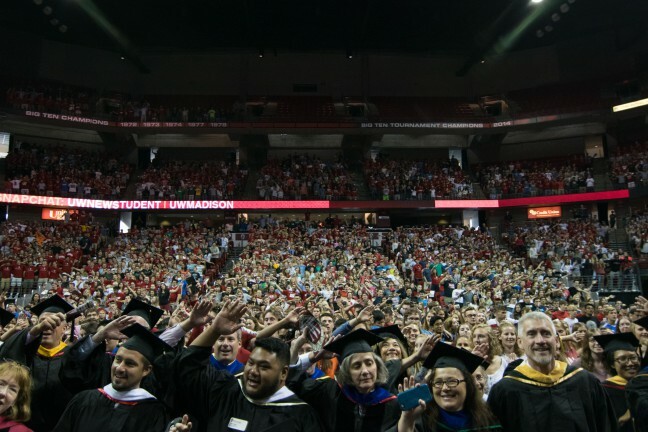 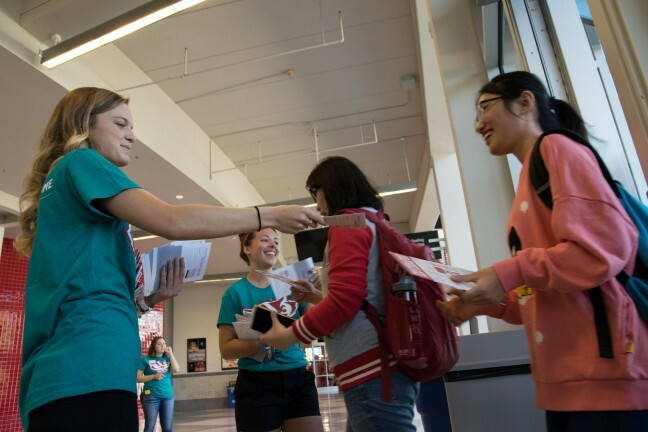 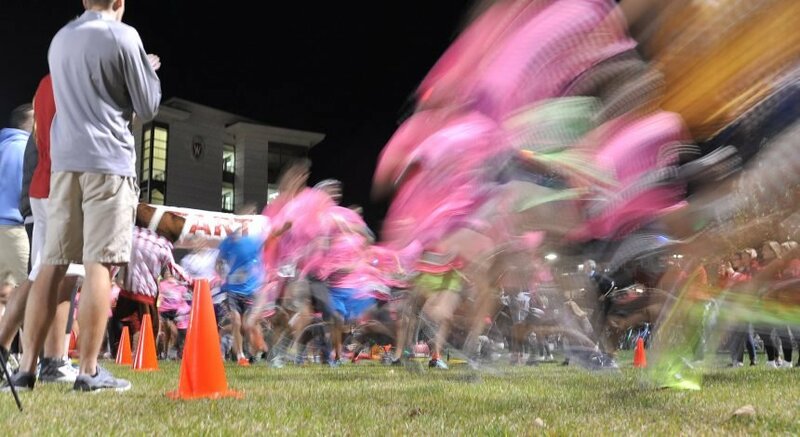 The singing of “Varsity” topped off the event, which rallied badger pride among the newest members of the UW community.